What if there were a way to do a quick Google™ search to help you find your lost pet? Save This Life has patented a recovery system to do exactly that! Save This Life's innovative technology has revolutionized the pet recovery process. The leaders of Save This Life are former rescuers who have developed a superior method of helping lost pets find their way home safely. They created Save This Life as a response to their frustration and disappointment in traditional microchip companies' pet recovery systems. The standard pet recovery systems require the microchip number to be read by a scanner or from an animal identification tag and then called in to one of many microchip databases. A participating company's operator then attempts to connect the pet finder and pet owner by telephone. Obvious problems that arise here are illegible tags, the inability to connect the finder and owner by telephone, the exhausting search through multiple companies' registries to find the correct registry, the inability to find the pet owner in the database because the annual fee is not paid or contact information is not current, among others. Save This Life has invented a way to utilize a quick Google™ search to eliminate all of these issues. Each Save This Life microchip number is searchable in a Google™ search. When someone finds a pet and performs a quick Google™ search of the microchip number, they are able to privately contact the pet owner with a text message and an email. The pet owner receives a GPS map, powered by Google Maps™ of where the person who found their pet is actually located. Each Save This Life microchip comes with an aluminum, machine stamped ID tag with search this #(microchip number ex 90016400041142) to find my family," as opposed to a plastic, ink stamped tag or a tag with no microchip number on it, like their competitors. There are no registration fees, no annual fees and no fees to update information or transfer pet owners. Save This Life also sends out free Lost Pet Alerts to the shelters and rescues within a 25 mile radius of where a lost pet was last seen and a Lost Pet Alert Poster to the pet owner. In addition, $1000 of Lost Pet Health Insurance is included with each microchip. Each pet receives coverage for up to $1,000 in emergency care for accidents that may occur while he or she is lost for one year after activation. 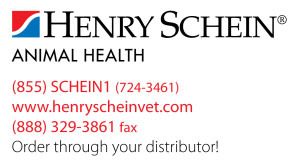 Save This Life microchips are exclusively distributed by Henry Schein Animal Health, the largest veterinary distribution company in the world. © 2018 Google Inc. All rights reserved. Google™ search and Google Maps™ are registered trademarks of Google Inc.